Ever wonder what it is like to be a landowner? I got my first taste yesterday at the second annual National Association of Royalty Owners (NARO) Pennsylvania/ New York Convention. And let me tell you, it’s a lot more work than you’d expect. 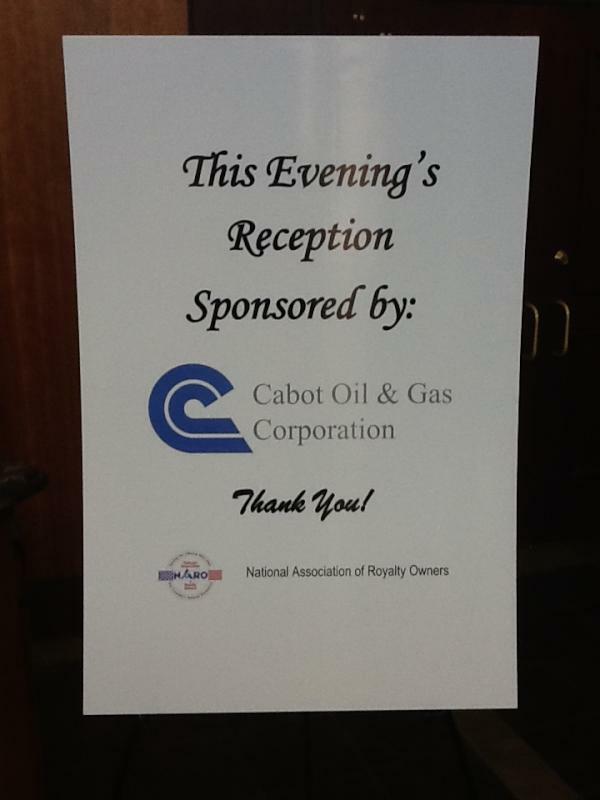 The conference, which was held at the Ramada Conference Center in State College, PA, brought together royalty owners (A.K.A. 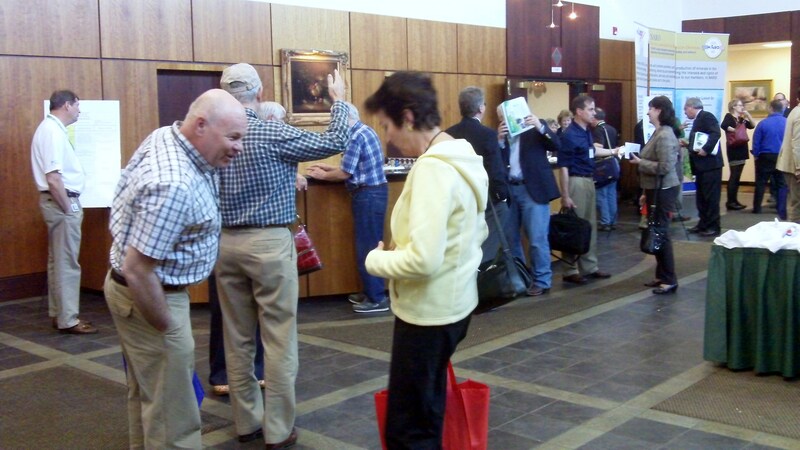 landowners) from the Pennsylvania and New York to discuss important issues, get educated and network with one another. So, what exactly qualifies someone as a landowner? Simply put, a landowner is a person who leases their land’s mineral rights (what’s under the topsoil) to an oil & gas company, typically for a five-year period, in exchange for compensation. The company is then free to do whatever they’d like to the land, such as drilling. NARO acts as a support group for the landowners. It remains the only national organization that promotes the responsibilities, rights and definitions of landowners, according to the NARO website. When I had the opportunity to network with the landowners at the conference, I was pleasantly surprised by how unique each person was. They each represented a different region, profession, opinion and style, which made for interesting conversation at the event. Everyone was super friendly and excited to be there, which was especially helpful to me since it was my first conference! Besides networking with landowners and promoting our blog, I had the opportunity to attend two lectures. The first focused on oil and gas case law, a topic that is usually passed by. Penn State University Professor Ross Pifer went into detail of several popular cases that involved situations that can occur to any landowner. The presentation covered everything from equitable extension, fraudulent inducement, severed estimates and delayed rental payments, and how to handle them. Although I am not a landowner, I understood the main message from Pifer’s presentation: how important it is for a landowner to be educated on the law. You never know what kind of situations you may run into in the future! A copy of Pifer’s presentation can be found here. The next presentation was definitely a show-stopper. Irish journalist and filmmaker Ann McElhinney spoke passionately about her new documentary FrackNation, a film that aims to address truth about fracking. McElhinney said she was inspired to create the documentary in response to the 2010 anti-fracking film Gasland by Josh Fox. According to McElhinney, FrackNation features interviews landowners who have experienced fracking directly, most whom support the process. My favorite part of McElhinney’s presentation was when she advocated the importance of social media, especially for landowners. According to McElhinney, social media websites such as Twitter and Facebook can serve as a public forum for landowners to voice their opinions on fracking, and get the truth heard. Needless to say, McElhinney is driven to inform people about fracking. You can learn more about her upcoming documentary, FrackNation, here! 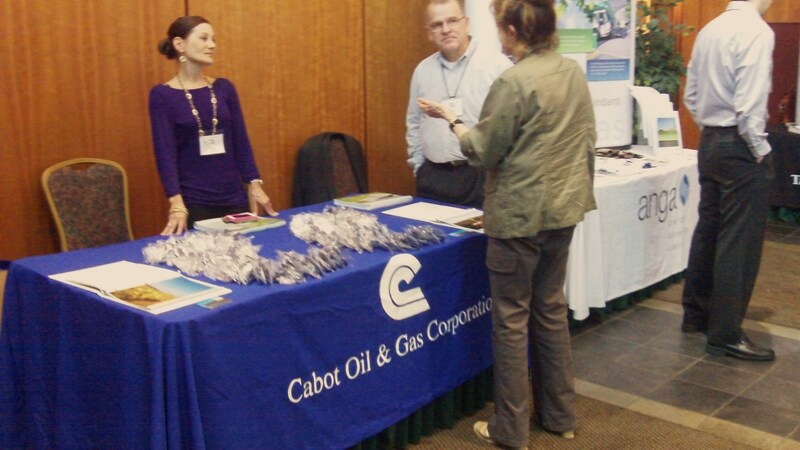 The day concluded with a networking reception sponsored by Cabot. Although I could not attend the reception, I heard great things about it from the landowners that I met earlier in the day (apparently prime rib was served). My overall impression of the NARO Convention was positive. I went into the conference knowing little about the industry and the types of things landowners deal with on a daily basis, and left informed (even with some new friends)! Whether you’re directly connected with the industry or not, I think it is imperative that you get informed on what is going on in the oil and gas industry. Everyday, more and more information (and films) are released about fracking, new laws and taxes. Just like Pifer stated in his presentation, it is better to be informed and prepared about what is going on in the world before it starts to directly effect you. little about the industry and the types of factors landowners deal with on a daily basis. I pleasantly left with a few new friends and a new perspective on royalty owners. If you ever have a question, you can tweet #AskCabot to our Twitter every Thursday, or write a message on our website!